Roy is going to probably delete this blog once he realises what I have done. Started to laugh a lot more which is good, probably cause neither of us are so stressed anymore but one thing Roy has always found strange/funny about me is that my timing for things is never quite right. 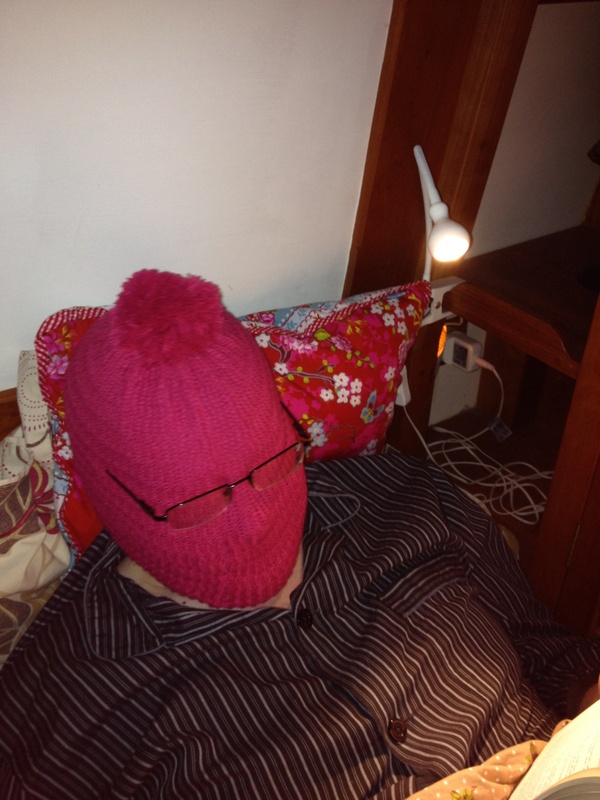 Take tonight for example, I found my pink wooly hat that I thought I would try out now I have had my hair cut shorter. Thought I would see if it still suited me…… Short answer is no! A complete numpty come to mind. I looked like a….. Can’t say on here…. Too rude. Anyway started dancing to the radio at 11 pm tonight…….. Just imagine this…… Nightie on, bed socks cause my feet get cold and the pink wooly hat. We laughed so much but then Roy thought he would be funny……. Little did he know I took a photo of him….. And then put it on here. He might not be laughing when he finds out. Don’t tell him!!!! 2 Responses to Things have got silly! !